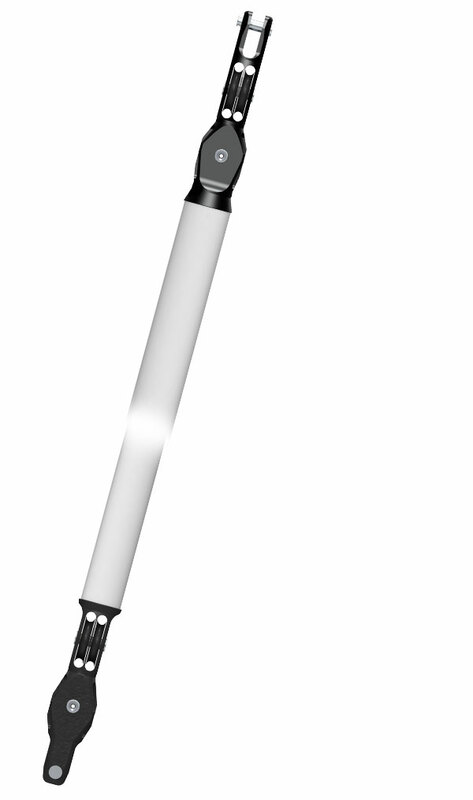 It is supplied with an internal steel spring that pushes the boom up. The range is made up by 5 models in order to be fitted on boats from 30’ to 62’. Its length may be customized onboard when installing it. This kicker is manufactured in either silver or black anodized aluminum alloy. It is made of two telescopic tubes equipped with special connecting terminals with integrated pulleys that allow for a compact line tackle. The line can be either directed to the cockpit or locked onto the kicker itself by means of an extra tackle with cleat. 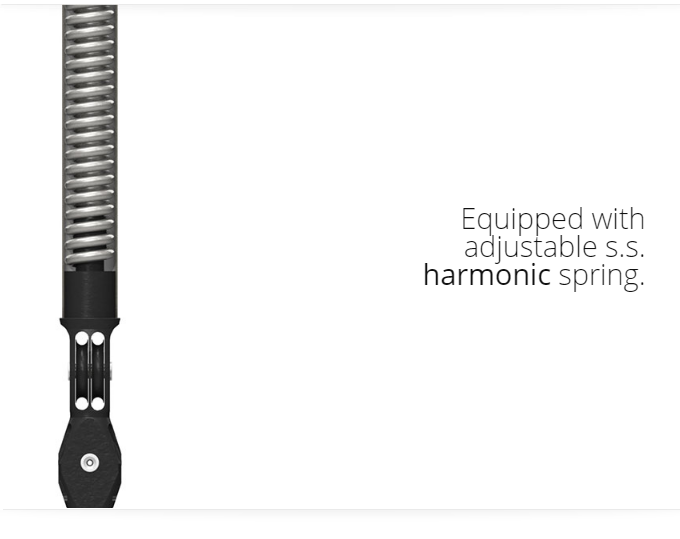 The spring allows you to adjust the vang thrust by rotating the upper tube/terminal.